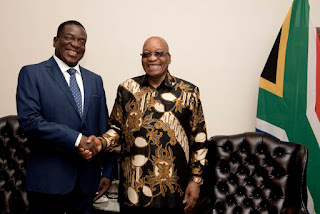 Sadc leaders have hailed Zimbabweans and the Zimbabwe Defence Forces (ZDF) for handling the transitional processes that occurred in the country in a peaceful manner, Zanu-PF First Secretary and President-designate Cde Emmerson Mnangagwa said yesterday. Addressing thousands of Zanu-PF supporters who gathered at the party’s headquarters in Harare to welcome him, Cde Mnangagwa said the tranquility that prevailed had made Zimbabwe and Sadc proud. “Today we are witnessing the beginning of a new unfolding democracy,” he said. 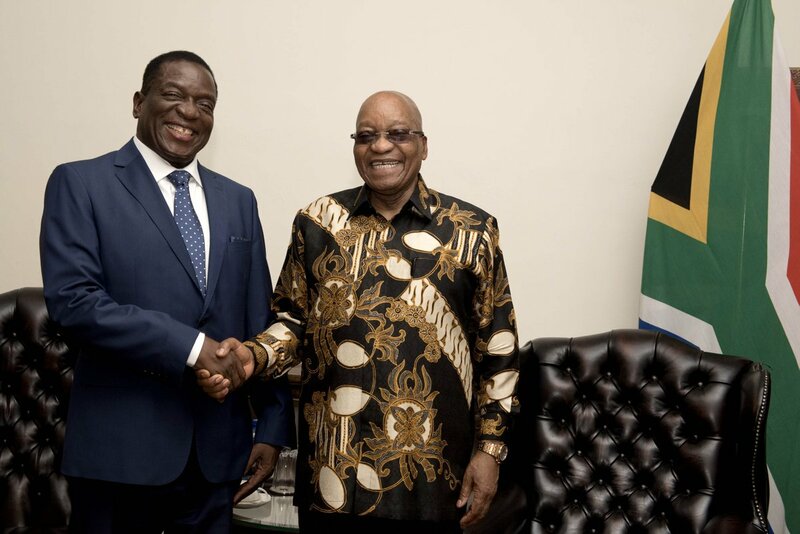 Cde Mnangagwa yesterday paid a courtesy call on President Zuma before jetting into the country. The ZDF last week intervened to thwart a potentially volatile social and economic situation hatched by criminals who were surrounding President Mugabe. After the ZDF intervention, the Zanu-PF Central Committee recalled President Mugabe as the party’s First Secretary and President. Earlier on, Zimbabweans had demonstrated peacefully calling for the resignation of the President who finally resigned on Tuesday. Cde Mnangagwa thanked Central Committee and Politburo members for uniting in recalling President Mugabe as the Zanu-PF First Secretary and President. The developments saw President Mugabe resigning on Tuesday. “May I thank my colleagues led by Cde (Obert) Mpofu who systematically, constitutionally processed the process which led to a point where the former President said I now step down,” Cde Mnangagwa said.